So to begin the rebuttal I’m just going to summarize her reasoning. Ultimately, her desire is to have a relationship that is established and perpetuated based on feelings of love. A desire that does not seem unreasonable on a surface level. However, this single sentence also perfectly explains why she does not want to marry her boyfriend in a civil or religious ceremony of any kind. She does not want to marry him, because the admitted basis of her relationship is loving feelings alone, and she is not sure that she will always have those feelings for him. She hopes she will, but she is not sure, and therefore does not want the permanence of a marriage that would bind her to this man until death (or now as is more common divorce) do they part. Regrettably, some of her reluctance probably also stems from the fact that not only is her boyfriend previously divorced, but to use her own words “my parents got divorced when I was 2 years old, and several of my relatives have divorced as well: grandparents, aunts, uncles, great-aunts and uncles, cousins. So I didn’t grow up thinking of marriage as the only way to ensure the longevity of a relationship.” In the culture she grew up in, the security of lasting love was not sealed by marriage, as I admit it was and still is in mine (my parents are going on 31 years and they still only have eyes for each other- and a few celebrities that neither expect to have an actual shot with). So because in her experience, love has never been taught or modeled as anything other than feelings, it can be terminated when those feelings no longer remain. She might even unconsciously, yet mistakenly, associate the unchangeable nature of love with the changeable nature of feelings. Because as much as our culture worships feelings, and uses them to justify many actions (both noble and ignoble) the problem with associating the nature of love with the nature of feelings is that they are not exactly the same thing. Love can and should be the ultimate pillar of a healthy marriage, but love encompasses so much more than mere feelings. Because, while feelings can be a source of stimulation, inspiration, and affirmation, they can also be capricious, unreliable, and especially selfish- because the first feelings I’m aware of in every circumstance without fail are my own. While being able to process emotions in a healthy way is important, selfishness is the antithesis of love. True and authentic marriage is not about you being perpetually satisfied with your partner (although here’s hoping!). True and authentic marriage, true and authentic love, is about surrender. Learning to transcend your own will and your own feelings and instead placing the will and feelings of your spouse above your own. That’s hard to do. That’s why Catholic marriage is a Sacrament, because the grace of God is required to overcome your human nature (i.e. putting yourself first.) Love is not a cultural construct meant to be figured out by each individual couple and then shown off to the world as a trophy (which I constantly see advertised as the purpose of modern marriage.) It is instead a journey that two people take together, standing on the shoulders of those who have walked the path before them, because while the journey will look different for each couple the trail’s end has a common destiny that binds its travellers together: heaven. So when this girl says “I love my boyfriend, but I never want to get married” I question whether or not she knows the essence of true love in the first place. And I can only hope she finds out because in my mind love is the reason we’re alive. Ellen, this is so good! I love the way you write and thank you for addressing this idea which is definitely misconstrued in our society today. Thanks Melissa! Hope you are well. I’ve been enjoying reading about your travels abroad as well! Tonight, around our dinner table, my 12 year old daughter told us of her classmate being dumped by her boyfriend for another girl. While all the things wrong in that scenario are worth their own piece, the reason I bring it up is for the “teaching” moment I turned it into. Boyfriends (and girlfriends in the case of my son) are not for the sake of being in a relationship, or for someone to hangout when you are bored or lonely; rather relationships are for discerning whether or not “this person” is the one worth marrying her. It is the time to discern if he truly respects her, that he brings out the best in her, and most importantly, that he leads her closer to God. At the age of 12, neither her or her classmates are preparing for marriage, therefor there is no reason to be girlfriend/boyfriend. For now, at least, she agrees with me. I dont underdstand the connection between marriage and love. Love is love. Marriage is marriage. What one has to do with the other? My mother’s love for me is everlasting, yet she has never signed any contract that has an official vow that she will love me for ever. My best friend, my son, my best lover, whoever it is who loves me – they love me because they choose to. They want to care, to remember, to wish the best for me, to help me in bad times, to support me, to accept me, to respect,and to commit themselves to making me happy not because they signed a marriage contract. Love flows from the heart. Love is a choice, not a signature. So is God. God loves because he wants to love. He loves us not because he signed a promise to love. Apart from religion, i see love in animals: u notice how mother bear protects her animal cubs, how father lion guards his family, and how a wolf stay loyal to a wolf for life- all that natural phenomena comes from within, not a marriage contract. Did you see how dolphins stay loayal and affectianate to each other as well as elephants? They too experience love and commitment, but nobody signs anything. But humans just create their own tools and rituals to represent stuff just to complicate things, not to replace. It’s like money. Animals dont use money to attach value to the food they hunt for. That doesn’t mean they don’t value food. We humans just use the money as an abstract – a tool to get something or to represent value for somehing else. But in itself and of itself , this tool is meaningless. 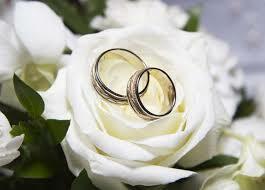 The same is marriage – it is a tool that represents may be love, and commitment, or reflects a moral value of it. But it is not love in itself.